The twins were born yesterday morning. Identical girls, in matching bassinets, under matching pink mosquito nets. 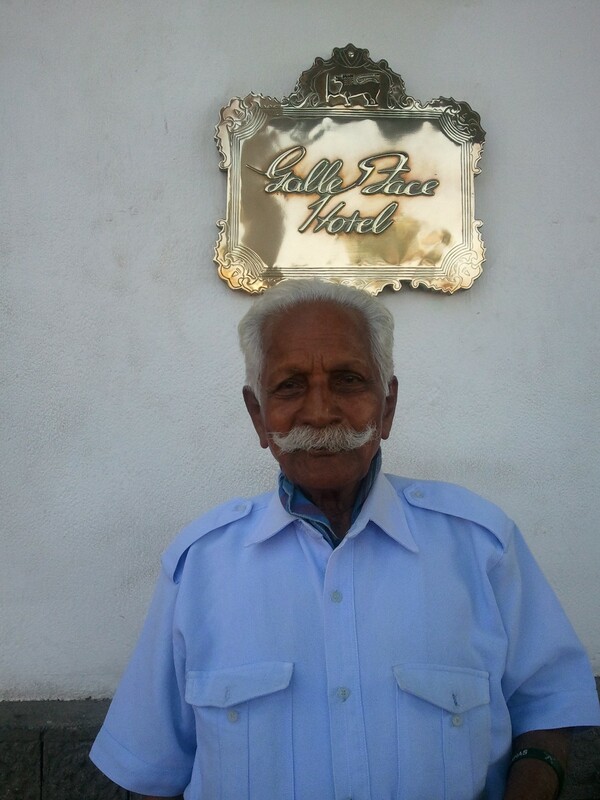 After we went to see them we took Amma to the Galle Face Hotel, in Colombo, for her birthday lunch. As we walked in the door we were greeted by this fellow. “I have been here since British times.” “Really?” Amma said. “Yes, Madam,” he said. 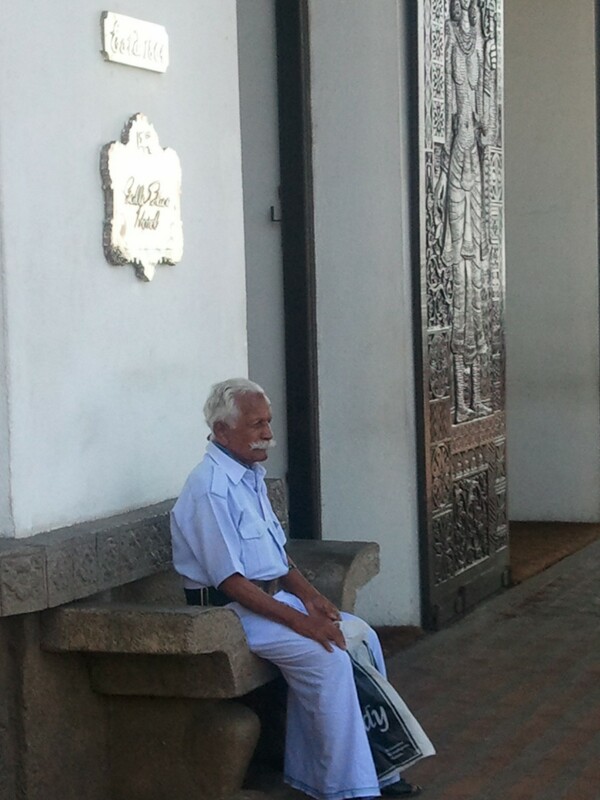 “I began in 1942.” Sri Lanka gained independence from Britain in 1948. “How old could he be?” I asked Zilla. I am enjoying the blog, Beth!